KXD Mobile is a mobile phone manufacturer from China. And it’s doing well in African market. KXD Mobile owns many factories all over China. It aims to provide affordable smartphones for everyone with much lower price but also better user experience. Recently, KXD releases a very budget entry-level phone with beautiful design. But most of all, it features nearly the best display among all low-end phones. When it comes to low-end phones, the quality is worrying, let alone the display performance. But KXD W55 is not the case. The size of the screen is only 5.5 inches with 75% screen ratio. The display is an IPS panel, which provides wider viewing angle, better contrast and color saturation. It covers about 90% sRGB color gamut. The brightness is up to 500nits, which means you can see the display clearly under sunlight. Most importantly, the display comes with RawColor technology, which is similar to the raw color setting in Photoshop. It can boost the performance of display rendering. For example, it increases the sharpness and contrast of image, similar to HDR screen technology. Everything on this display is more vibrant and vivid. If you look at other entry-level phones, it is almost impossible to find a good display. Even in middle-range market, display quality is often a problem. Therefore, KXD wants to deliver a phone with very low price but also can please our eyes. 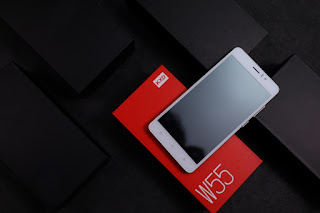 That’s the difference that separates W55 from other low-end phones. 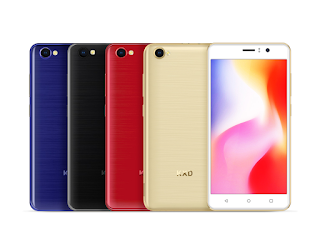 KXD W55 features MT6580 quad-core processor, IPS display, 8MP+5MP camera, 2500mAh high density battery, 1G RAM+8G ROM, micro SD card expansion and dual SIM support. If you compare KXD W55 with other entry-level phones, you will know that W55 provides higher cost performance.